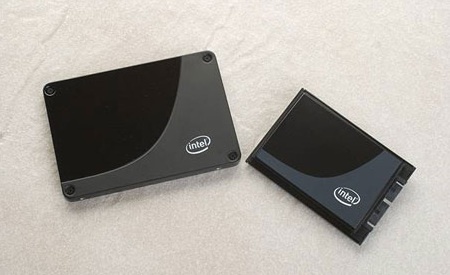 Review Intel has updated the firmware for its four models of mainstream solid-state drives, the 80GB and 160GB 1.8in X18-M and 2.5in X25-M.
You may recall that during our review of the 80GB X25-M we were faced with the task of updating the firmware from version 8510 to 8610 and it was bloody hard work. For one thing, our Intel Skulltrail motherboard detected the new firmware as malware and tried to protect the system from the drive. For another, the process was horribly similar to the old school method of updating the Bios on a motherboard. We had to boot into Dos, run the update, run a utility called HDDErase, and then format the drive before we could reinstall the operating system. When we finished the new firmware had no appreciable effect. The latest firmware update from Intel is version 8820 - you can download it here - and it breaks new ground in a couple of ways. 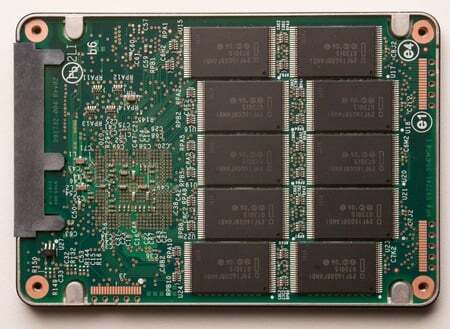 The new firmware is supposed to "enable your SSD to deliver the best performance in your PC", a statement that has been taken by some commentators as a tacit admission that the X18-M and X25-M shipped with a fragmentation problem that leads to the drive becoming cluttered with junk. The other change is that the method of updating the firmware is now very simple and doesn’t involve any formatting of your drive. Download the 3MB ISO image, burn it to CD and use it to boot your PC or Mac. The utility automatically checks for Intel SSDs that require updating, and the process is complete in a matter of seconds. Restart the system with the CD in the drive and the software will check the firmware version and should hopefully declare that the drive has been updated.